What is your favorite Disney Park? Do you love the wonder and excitement of Magic Kingdom? I am always up for a ride on Seven Dwarfs Mine Train! What about the beauty of Epcot? Hello Morocco, I’m looking at you. Or, how about Hollywood Studios where you can watch the March of the First Order up close and personal? 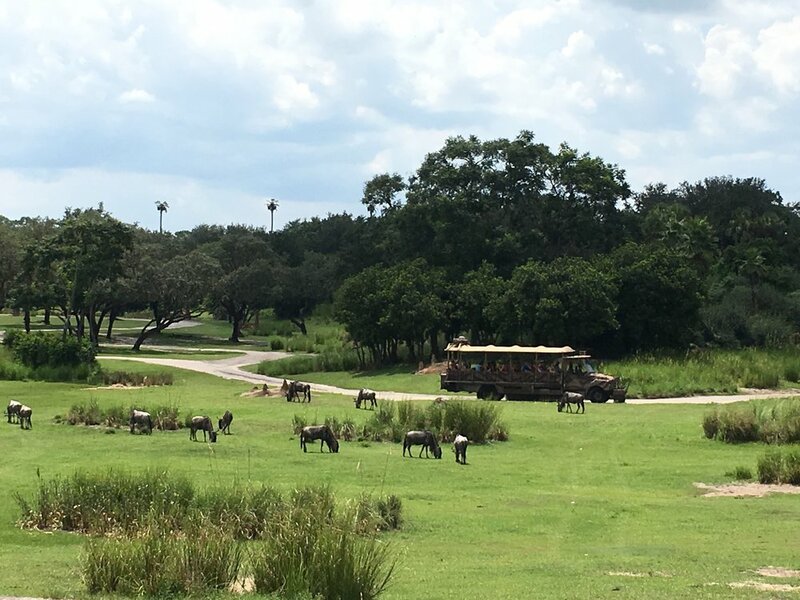 But that all changed in August, when I was given the opportunity to experience a behind the scenes tour of the Harambe Savannah at Animal Kingdom. I went on the Wild Africa Trek, a behind the scenes tour of the Savannah. First on the agenda was to get fitted with a vest and harness before meeting our guides for the day, and we were supplied with bug spray and sunscreen while we all got to know each other. We hiked for about 15 minutes before stopping to visit the hippos. We were able to clip on to a safety line and go out on a ledge directly above them while one of the cast members fed them. Getting a selfie with an adorable smiling hippo in the background was a great way to start the trip! We continued our hike – and while it is not extremely strenuous, it is a true hike. You are navigating the trails and root systems that make up the back of the Savannah. While we hiked, we were able to learn about the plants and flowers that cover the savannah. The knowledge that our cast members had was amazing! Next, we arrived at a wooden/rope bridge that crossed over those crocodiles you always see basking in the sun! I wasn’t sure how I felt about crossing the bridge, but I put on my big girl pants and started across. The views from here were stunning! There were several cast members stationed along the way to encourage you, take pictures of you crossing, and to point out things you might not see in your haste to get across. After everyone had crossed the bridge, we were loaded into a private safari truck and off we went. Any time one of us spotted an animal that we wanted to get up close and personal with, the guide asked the driver to pull over and stop. During this stop, the guide told us all about the animal, answered any questions. and then took pictures of us in front of the animal. It was truly a VIP experience! 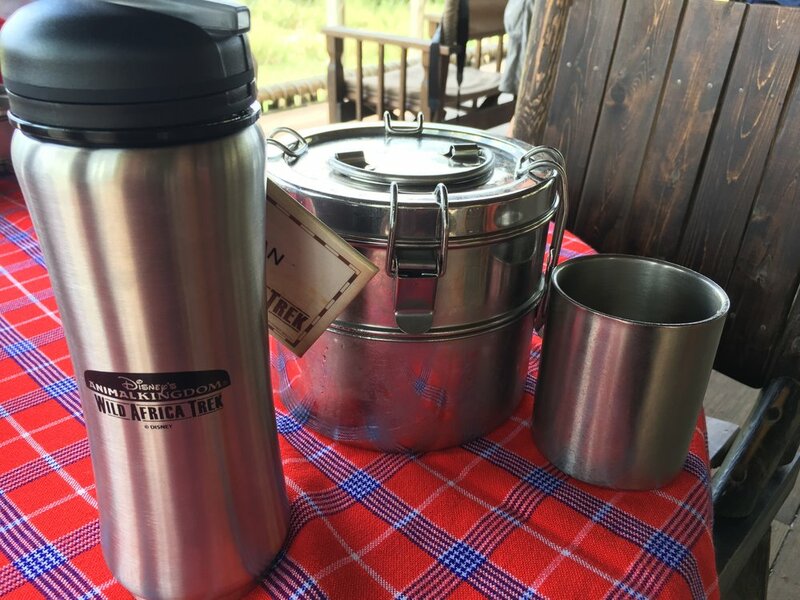 As we continued around the Savannah, we made a stop at the Boma. You have probably seen the Boma, but maybe you weren’t sure what it was. It is the beautiful open-air house that sits at the top of the Savannah. As we arrived, we discovered tables that had been prepared for us as well as snacks already set up. The snacks were traditional African fare and were just what I needed after a day of hiking in August. In addition to the snacks there were binoculars there for us to get a closer look at the animals. As we sat and enjoyed the Boma, it was so peaceful. I felt like I had stepped into a different world. I no longer felt like I was at Animal Kingdom or even in Orlando. I felt like I could truly be in Africa. I kept thinking that this must be what an Adventures by Disney feels like! My guides were so accommodating, funny and knowledgeable. They were everything you would expect from a Disney cast member. Whether you have been to the parks two times or twenty times, this is a perfect add-on to any trip. You must be 10 or above to reserve this excursion so I have just a couple of more years until I can share this special adventure with my whole family! I am a wife and mommy to 3 precious kiddos. My very first memory of Walt Disney World was Christmas of 1988. I was 12 years old and my parents surprised me with a Disney trip and a week at the Grand Floridian Resort. We were the first people to stay in the room and it was amazing! I now enjoy being able to take my kids back to experience that very same magic year after year!